Most people will be familiar with the adventures of Postman Pat and Jess, the fictional black and white pet cat who helps him out while he delivers the post around Greendale. But now it has been revealed that Jess has a real life counterpart in Callander near Stirling - a moggy called Dandy. Just like children's favourite Jess, Dandy is black and white and a popular fixture at the post office, so much so that she even receives Christmas cards from locals and tourists. Dandy is normally to be found sitting on the counter and it seems she really does have the post office in her blood, having been born to a stray in an air vent above the premises 18 years ago. 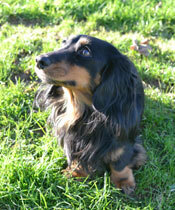 Dandy was taken in by the Menzies family, who run Callander's post office, and she has been there ever since. The town's 82-year-old postmaster, Hamish Menzies, says while Dandy was very shy and nervous to begin with, she gradually made herself at home and now greets customers when they enter the post office in the hope of getting stroked.